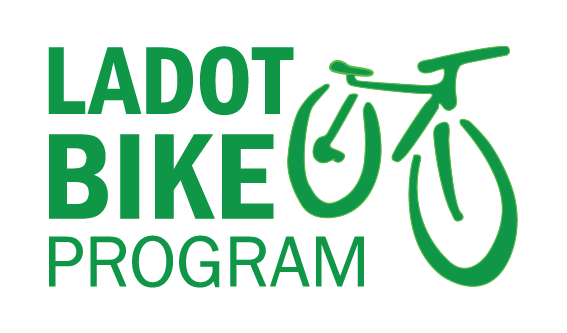 This summer Metro has been hosting a series of free bicycle traffic safety workshops funded through the Office of Traffic Safety. 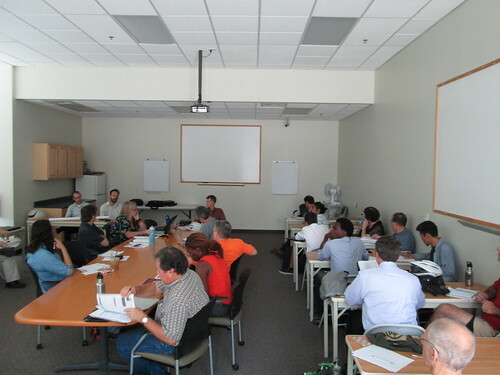 Metro is working with the LA County Bicycle Coalition, Bike San Gabriel Valley and Multi-Cultural Communities for Mobility in leading the two levels of workshops: a 3-hour beginner’s road rules class (in English and Spanish), and an 8-hour workshop for intermediate cyclists focusing on building traffic skills. 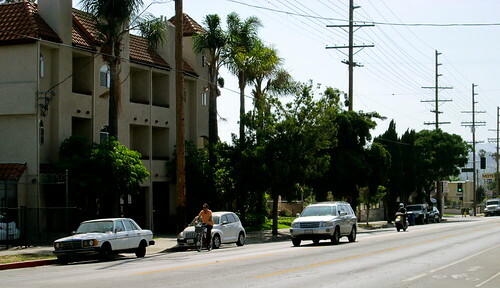 The City of Los Angeles and the California Bicycle Coalition are teaming up once again with Senator Lowenthal (D – Long Beach) on a campaign to improve bicyclist safety statewide. Senate Bill (SB) 1464 is designed to overcome the shortcomings of its predecessor, SB-910, which last year was vetoed by Gov. Jerry Brown. Gov. Brown did recognize that the bill offered “some needed and clear improvements to the law”, but concerns raised by the California Highway Patrol and Caltrans ultimately swayed his decision to the negative. Opponents raised concerns over the 15 mph requirement for safe passing. which they felt could cause rear end collisions. Gov. Brown ended his explanation with a call for the authors, proponents, and opponents to send him a bill next year that would solve the problems; SB 1464 does just that. California is hoping to become the 20th State in the country to pass a safe passing distance law. With your help, we can make it a reality. Find out about the latest efforts to pass Give Me 3 on the CBC’s website. 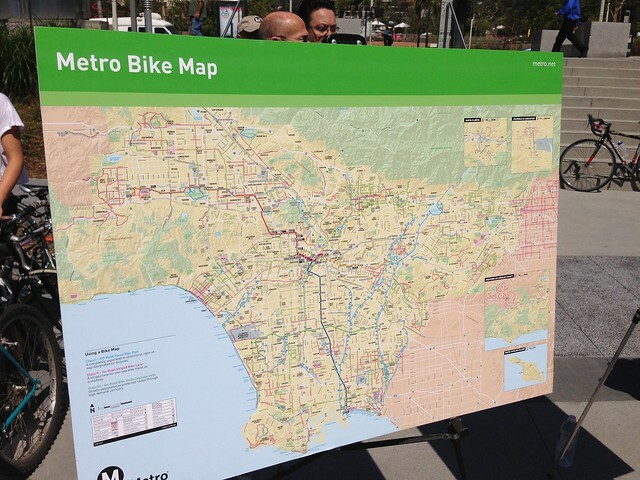 We’ll be sure to update you here on the LADOT Bike Blog when major developments occur. The long-awaited report is finally here. 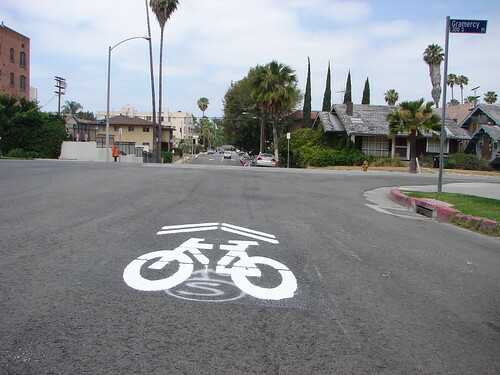 A year after installation, the LADOT Bike Program has completed analysis of our in-depth study for Sharrows on the streets of Los Angeles. Overall, Sharrows were a resounding success in improving safe interactions between drivers and bicyclists on many different types of street with various conditions. 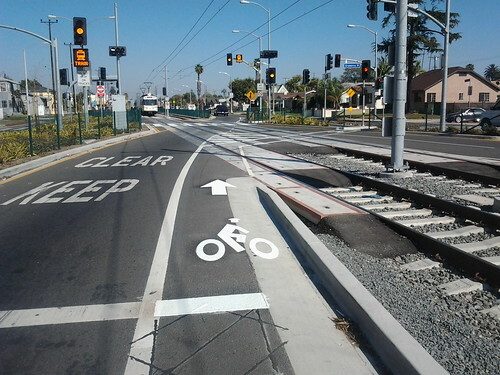 For a look at the methodolgy used for our study, feel free to read up on our pre-installation Sharrows post. But don’t take our word for it: take a look at the report for yourself. We also created a page tab (a drop-down from the “Sharrows” page tab) for a quick link to the study by itself. The report has already been submitted to SCAG and to the Mayor’s Office. We hope to move forward with a robust implementation of Sharrows on Bicycle Friendly Streets throughout the City and as a practical solution to gap closure between existing facilities on streets that cannot easily accommodate bike lanes. Come below the fold, where we’ll do a quick rundown of the report’s results, and what it may mean for LA’s streets in the future.